Strathord Tile Works, Stanley, Perthshire aka Marlehall Tile Work. 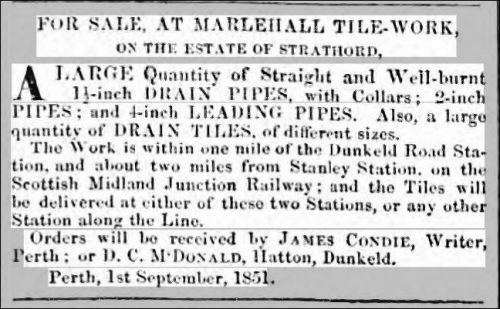 Below – 04/09/1851 – Perthshire Advertiser – Marlehall Tile Work on the Strathord Estate for sale plus a large quantity of drain pipes and collars. Below – 1864 – Strathord Tile Works. They are marked as disused by 1896. 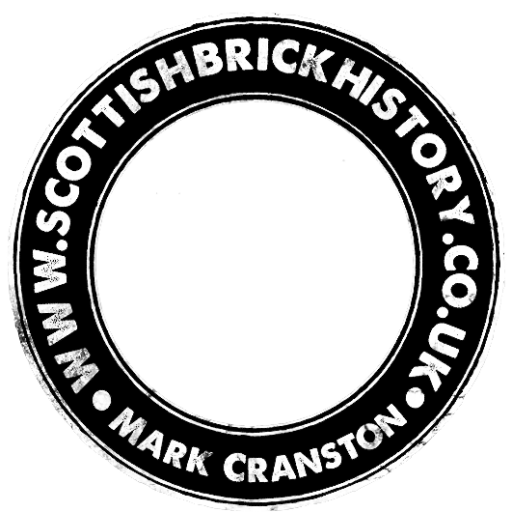 06/01/1896 – Death – At Strathord Tile Work, Stanley on the 3rd inst, William Watson aged 79. Funeral on Wednesday 8th inst at 2pm to Redgorton Churchyard. All friends invited. 23/01/1934 – Eggs.—W. Wyandottes, R.I. Reds, large egg strains, 6s per dozen. Apply Mrs Kilgour, Tileworks, Strathord. 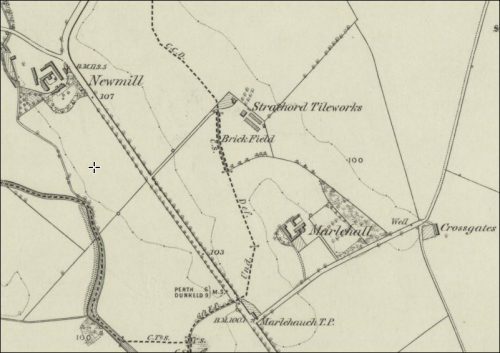 (Note – SBH – As the tile works are marked as disused on the 1896 map, the reference to Tile works, Strathord here may only be as a postal address to premises situated on the old site).